So this Thursday I have another local Cosplayer from Edmonton. Dave Barsi. Dave in involved with a local Cosplay group in the Edmonton area, Edmonton Cosplayers. Dave was kind enough to do a interview with me. I consider myself a big nerd, with a lot of creative ambitions. I enjoy making all sorts of stuff. I really love science fiction, and can’t wait for all the future stuff to actually exist. Until that day, I will tinker around trying to make it myself. How did you get involved in Cosplay? I always enjoyed dressing up, since I was a kid. But generally, costuming was reserved for Halloween, and a few other occasions each year. It was only when I discovered Conventions that I had a proper outlet for doing it more often. 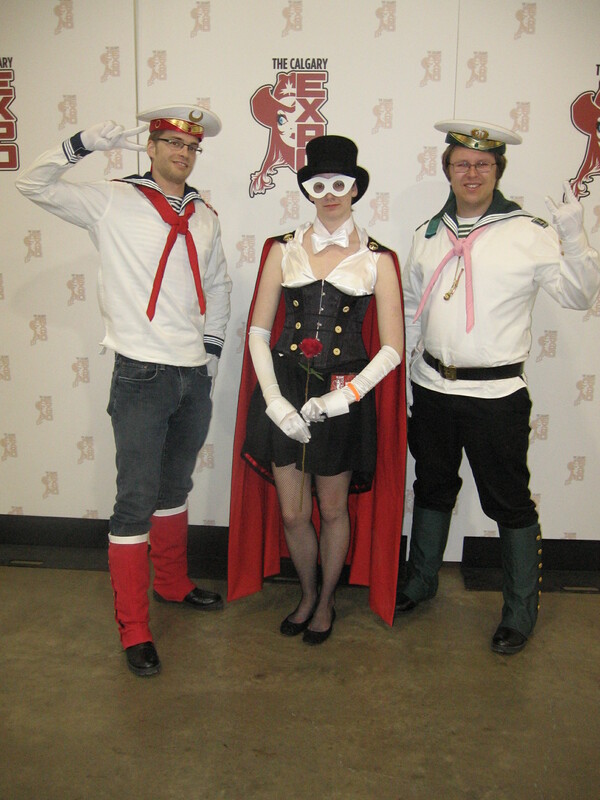 Before I started going to Cons, I new a bit about cosplay, but didn’t realize how popular or impressive it was. My first real convention was DragonCon in 2011. My friends and I threw a few quick costumes together, but seeing the number of costumes, and the quality really jump started my creativity. From then on I had a full blown hobby of designing and building costumes. You mention that you attended DragonCon. How was that experience? DragonCon was pretty amazing! It was my first real convention, and it was a great way to jump into the scene. Friends and I had been trying to go to SDCC, but were unable to get tickets. 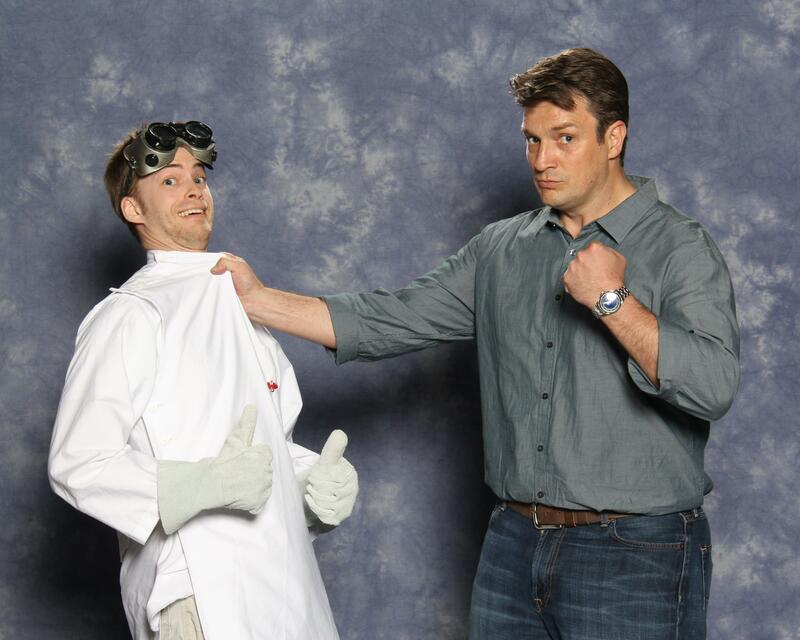 So we decided to try another con, and we ended up choosing DragonCon. It was a long way from home for us, but a fun trip. I was blown away after the first evening when it started up. Nerds had come out of the woodwork and flooded downtown Atlanta. Almost instantly, everyone was in costume, and being in plain clothes really made you stick out. But everyone was there to have a good time, to socialize, and enjoy eachother’s creativity. Prior to DragonCon I had been starting to research cosplay, and get into a few communities for about a year at that point, and I was able to meet a number of people I had gotten to know online. All in all it was a great experience, full of parties, panels, and parades (and also lines, no con is complete without lines). How many other Cons have you attended? I am still fairly new on the scene, so my list is still growing. I have attended about 4 different cons. The Calgary Comic and Entertainment Expo has been my regular con for the last several years. I do look forward to exploring more conventions in the future. It is fun to see different places, and/or see how the shows grow and change year to year. So what other things do you enjoy about geek culture? There are so many things in geek culture to love. Again, I love sci-fi stuff and am open to almost anything of that flavor. I love movies, books, comics, graphic novels, gaming, and all the creative stuff that surrounds them. What things are you geeking out about at present? My work schedule has kept me from actively geeking out for much of the summer, so mostly I am just getting hyped about some of the new stuff coming out. I am looking forward to some big game releases this fall such as Destiny, and Borderlands – The Pre-Sequel. Do you follow any of the top cosplayer and if so who? I do have a number of favorite Cosplayers, along with a much longer list of people I admire. First would be Kamui Cosplay. I stumbled across her work when I was first getting into cosplay, and was blown away by it. She also has done up some nice tutorials to help others out. I am also a big fan of Volpin Props and Punished Props. Volpin has, and continues to make amazing things, and I dream of the days when I can be at that level. And Bill at Punished Props has been really great at making tutorials and helping the community to learn about cosplay. Is there any cosplay costume you want to try and do? I have a list that grows faster than I can build. But, my secret master plan at the moment is to build a terran marine from Starcraft 2. I love armour, and most of my projects are armour related. 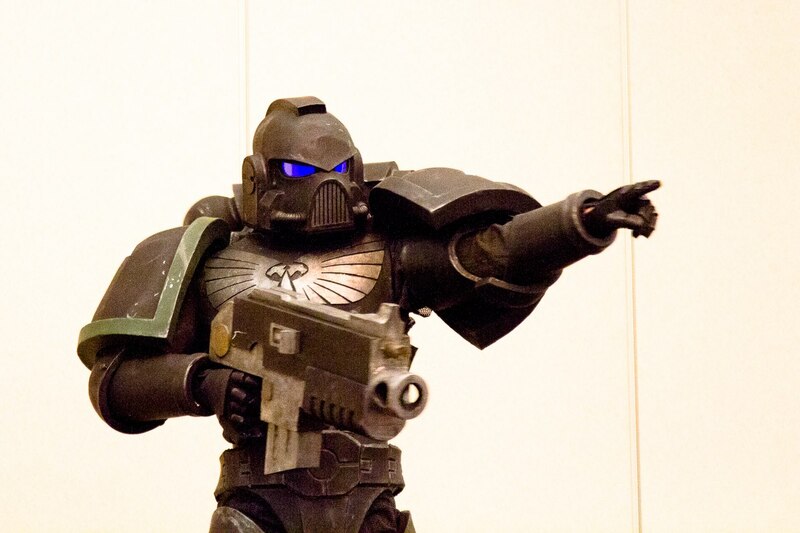 That is to be my next project, once I finish up my ODST suit. Is you cosplaying more for fun or do you hope for more, business? I think it can be both. Right now I generally do it as a creative outlet, and for my own fun. I am open to the idea of doing it as a business, but I don’t know that I could ever do it full time. The business side is something I have thought about often. Maybe in a few years if I am successful enough at my own projects. Does your family like and understand what you do? My family does enjoy my exploits, even if they all don’t fully understand it. When I finished building my space marine Armour last year, my Dad loved it so much that he made t-shirts for us! That was a pleasant surprise. What is your favorite part of doing Cosplay? I like the hands on creativity. I get to turn materials into wearable art, and help bring characters to life. I like that it is something that is so easily shared with other people. From the WIP to the final product, people love to see projects and how they are made. It is great to see characters you love walking around in real life. Finally any advice for people thinking about getting in Cosplay? Dive in! Don’t worry about being overly ambitious; if there is a project you want to do, give it a try. There are lots of online communities that are flush with information and helpful people. Also, it is a learning process. Don’t be afraid to make mistakes or try new things. Even the pro makers out there are still learning new things as they go. My space marine took about a year to build, and I learned so many new things. I messed up in some places, but that helped me to improve in others. Again I like to thank Dave for doing this interview and I hope to see him at either the Calgary Expo or the Edmonton Expo. If you are intereted in talking to Dave Barsi you can contacted him through the Edmonton Cosplay Facebook Page. Being handed an advanced copy of a soon to be published Doctor Who comic can be, for some, a nerdgasm of tremendous proportions. It can be an exciting look into a part of the life of a Time Lord that has yet to be covered by the long-running television series. 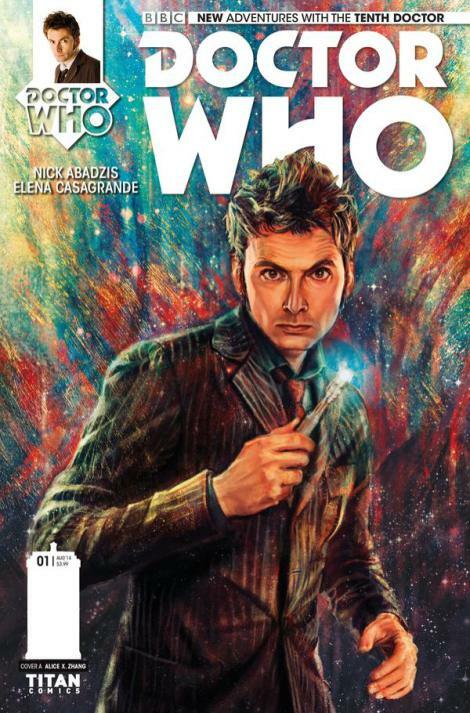 With the the recent Titan Comics publication of The Tenth Doctor: Doctor Who #1 on July 23, 2014, Doctor Who fans will have the opportunity to glimpse the life outside of the BBC series. COMICS, DC, Dr Who, MOVIES, News, Podcast, Super Heros, T.V. Hey you all. 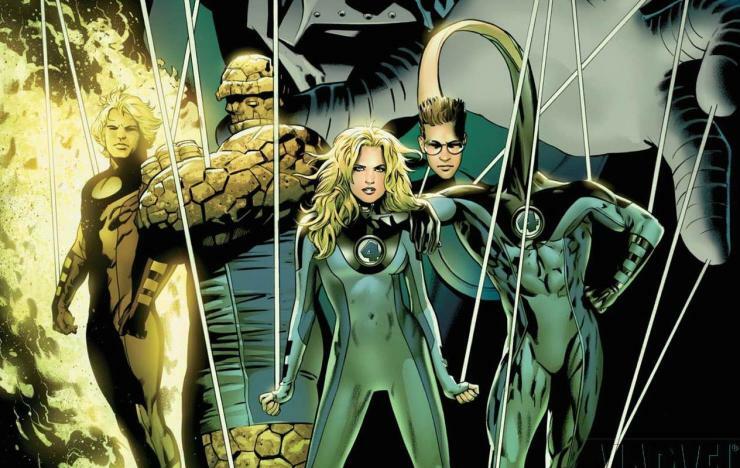 Welcome to Ep 26 and there is some much news from the geek world that you will poop your pants. Edgar Wright’s new movie. 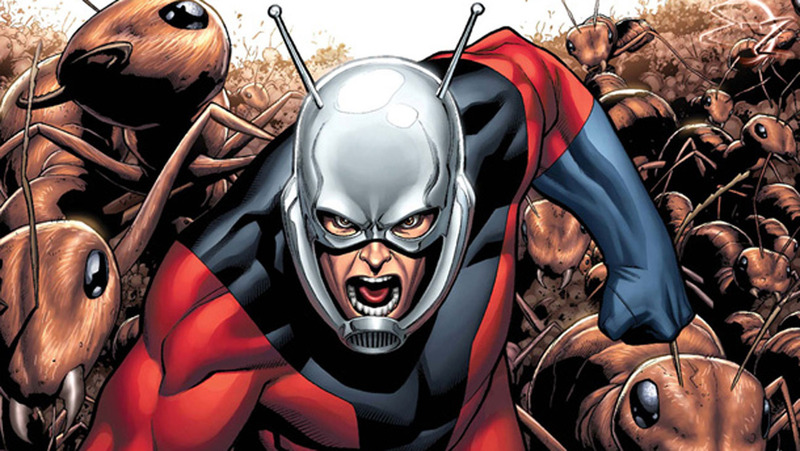 Kevine Fiege talks about Ant Man. 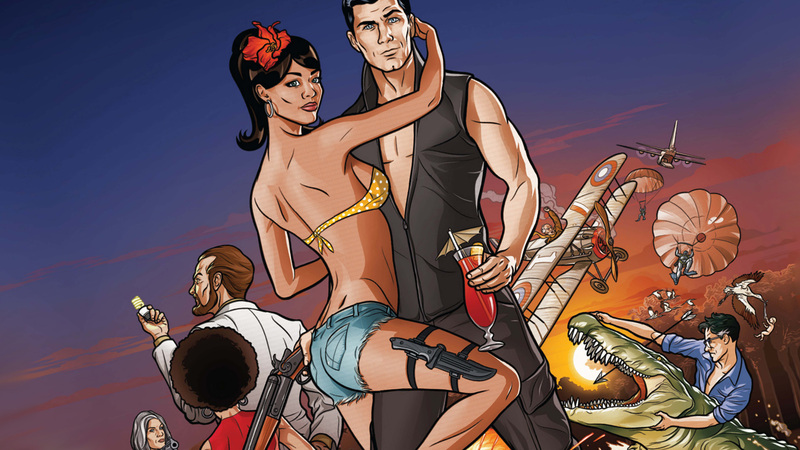 Archer and season 6. 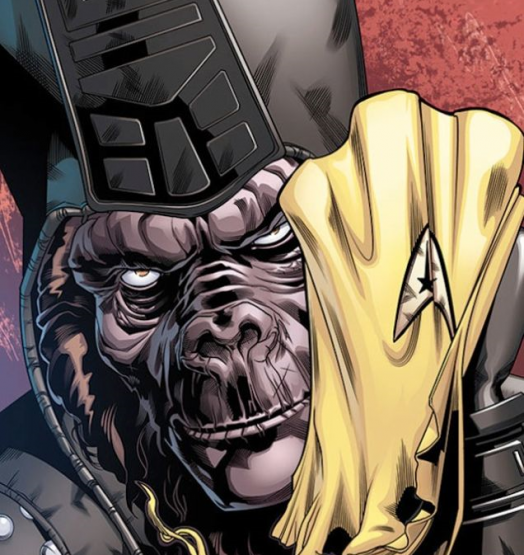 Star Trek and Planet of the Apes crossover? 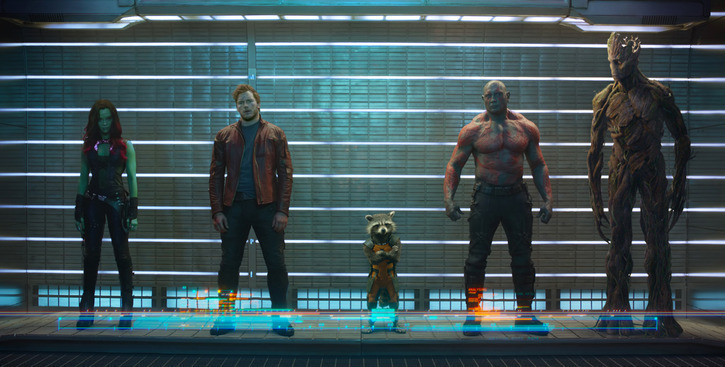 Guardians of the Galaxy getting great reviews. Robin Williams wanted to be in ANY Batman movie. 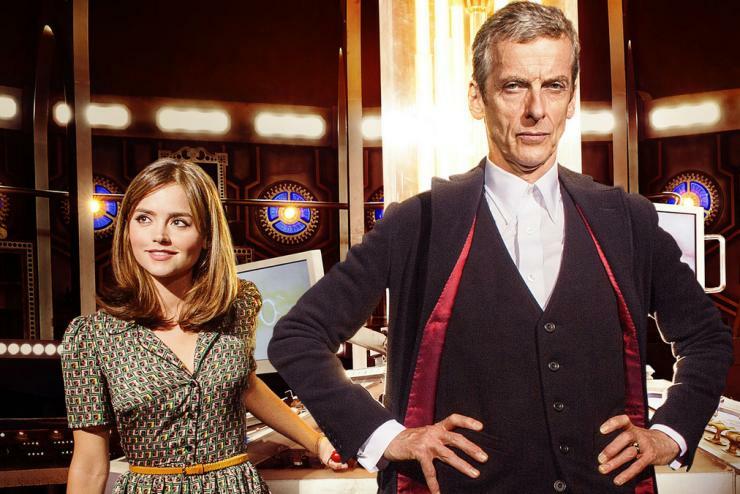 Moffat says the number don’t mean anything. Quicky news and comic reviews. Dam there be some much you have to listen. Welcome again to another Movie Monday and this time around I have a very interesting looking and odd little short. I do not really have a clue really what this film is about. You get the idea that it is about man survival after a disease almost kills off man. But there are survivors that are looking of a new home where they can start again. So take a few minutes and have a look. Sure do enjoy a good rock band with a female lead vocals! Just recently checked out their music and got to say that I am really enjoying it! I even like their cover song of Bad Romance which is ten times better than listening to Lady Gaga. or Lady Gag as I like to call her. Enjoy the video to one of my favorite songs by them. Well once again I have dug far and deep into the web to find some great Cosplay. Okay not really. But WTF where can you find some really great cosplayers out there. Okay everywhere. Stop looking at me like that. Oh just go and enjoy some of these great Cosplay.